For a DUI case with court scheduled in at the 46th District Court in Southfield, finding an exceptional lawyer that specializes in the defense of all DUI charges is vital. The high consequences surrounding a conviction for drinking and driving means that you should not take chances with your legal counsel. The Judges at the 46th District Court are not always predictable. Retaining a lawyer early on is important, because your lawyer needs time to build a strong defense. Searching for Top Caliber Southfield Michigan DUI Lawyer To Represent You In Court? 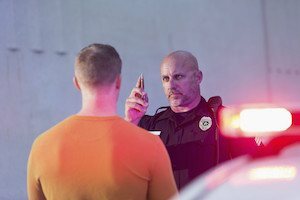 Without a doubt, felony DUI cases contain some of the toughest legal sanctions. With OUI felony conviction there are non-negotiable sentence conditions such as a prison or jail sentence, numerous hours of community service, weekly alcohol treatment and testing, and strict probation conditions if you receive jail (instead of a prison sentence). If you are convicted by plea or after trial of felony DUI, the assigned Circuit Court Judge has the sole discretion to decide how much time you serve (although there is a mandatory minimum of 30 days in jail or 1 year in prison for felony OUI 3rd Offense). A misdemeanor OUI conviction will also impact your life. For a misdemeanor OUI conviction the Judge has the power to order in a jail sentence, and up to 2 years of probation. The Judge has no control over the sanctions issued by the Michigan Secretary of State, which may cost you your driver's license depending upon the circumstances. The only logical conclusion to all this is to hire an outstanding OUI attorney to defend you. The lawyer who handles cases at the 46th District Court that is recommended time and again for OUI arrests in Southfield Michigan is Daniel Hilf of Hilf & Hilf, PLC. Attorney Hilf has over 20 years experience of passionately defending OUI charges in metro Detroit, and he presently is accepting new DUI clients in Southfield. The 46th District Court is located at 26000 Evergreen Road in Southfield, Michigan 48076, For felony drunk driving cases, if probable cause is found by a Judge or stipulated by the parties, the case is transferred to the 6th Circuit Court for resolution or trial. The 6th Circuit Court is located at 1200 N. Telegraph Road in the city of Pontiac, Michigan 48341. The office for Hilf & Hilf, PLC is located at 1775 W. Big Beaver Road in the city of Troy, Michigan 48084.